Parents as Teachers has treasured our long history with Head Start or Early Head Start programs. A significant number of Head Start and especially Early Head Start grantees utilize the Parents as Teachers research-based and evidence-informed curriculum and approach. Our valued partnership continues through the creation of The Solution for Quality Home-Based Services. These supports are designed specifically for Early Head Start and Head Start home-based programs that select the Foundational Curriculum, and may additionally select the Foundational 2 Curriculum, as their home visiting curricula. The curriculum features family-friendly activities and resources that engage families in children’s learning and development with three key areas of emphasis: parent-child interaction, development-centered parenting, and family well-being. Benefits of selecting The Solution for Quality Home-Based Services begin with the Foundational Training where participants learn about the Parents as Teachers relationship-based and parenting-focused approach to home visiting. 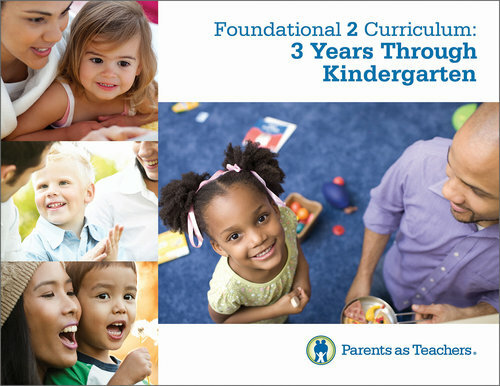 Professionals who serve families of children age three through Kindergarten entry, may complete the Foundational 2 Training. Participants who successfully complete both Foundational and Foundational 2 trainings are better prepared to achieve Head Start outcomes and able to promote school readiness and parent engagement, hallmarks of Head Start and Early Head Start. Another benefit includes acquiring access to tools such as the Demonstrating Fidelity 2018: A Checklist for Utilizing the Foundational Curricula and the COR Advantage Alignments for both the Foundational and Foundational 2 Curricula. The Office of Head Start requires grantees to demonstrate implementation fidelity to a research-based evidence-informed curriculum. These resources are designed to support efforts to show fidelity to the curricula. Parents as Teachers is currently developing curricula alignments to the Head Start Early Learning Outcomes Framework (HSELOF), which will be released soon. Support for family goal setting consistent with Early Head Start Performance Standard § 1302.50(b)3. Provides parent-child activities that support parents’ ability to make a positive impact on their child’s development consistent with Performance Standard § 1302.51. Contact Tiedra Marshall to get more information about the Solution for Quality Home-Based Services and its benefits. WHAT IS THE HEAD START COMMUNITY SAYING ABOUT PARENTS AS TEACHERS?